Mark began his career at Preston North End, and also played for Brighton and Hove Albion before moving to Liverpool in 1981. He won many honours with the Liverpool and formed a defensive partnership with Alan Hansen that is still regarded as one of the best-ever in English club football. Mark was capped 39 times by the Republic of Ireland, before an Achilles injury brought his playing career to a premature end at the age of 30. Mark has been a regular BBC football pundit since 1997, often teaming up with old club-mate Hansen. Mark appeared on The Russell Howard & Jon Richardson show on BBC 6 Music in a feature called Lawro’s Top Three. 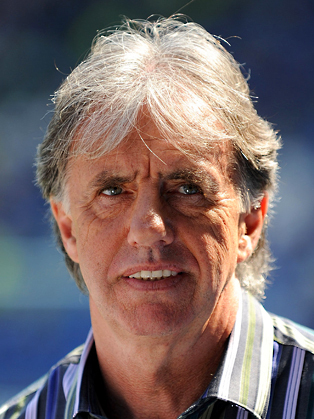 Mark Lawrenson is best remembered for his partnership with Alan Hansen at the heart of the Liverpool defence, which is still seen as one of the best in club football. He was capped 39 times by the Republic of Ireland, before injury brought his playing career to a premature end. After hanging up his boots, he managed Oxford United and worked alongside Kevin Keegan as a defensive coach at Newcastle.